10th World Congress on Biosensors and Bioelectronics : Vydya Health - Find Providers, Products. 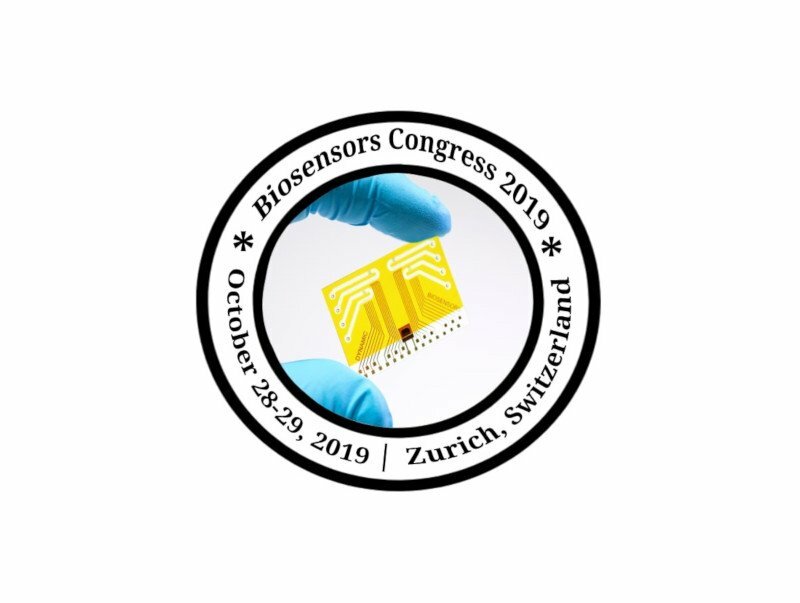 On behalf of the Organizing Committee of Biosensors Congress 2019, all the researchers, developers, and experts are warmly welcome from the field of Biosensors and Bioelectronics to attend “10th World Conference on Biosensors and Bioelectronics” schedule on October 28-29, 2019 in Zurich, Switzerland. We aim to unify all the people indulged in this vast field and share the knowledge, explore and look forward to the new way by integrating new thoughts and customizing the limits of the future technology. Biosensors Congress2019 is a 2-day event offering the Exhibition, at the venue to showcase the new and emerging technologies and have wider sessions involving Keynote presentation, Oral, YRF (student presentation), poster, e-poster presentations. World-renowned speakers and eminent delegates across the globe attending the conference, to share their valuable presentation on the most recent and advanced techniques, developments, technologies in Biosensors and Bioelectronics and relevant topics along the newest updates are the prominent features of the conference. Biosensors Congress 2019 offers a dais to take an attention to explore, grip and meet with prominent speakers of the field, including both broad and specific subjects. The Biosensors Congress 2019 will be surrounding the theme “Technological Developments in Biosensors and Bioelectronics”. Biosensors Congress 2019 invites all interested participants to join us for this venerate event at the elegant destination of Zurich, Switzerland.